An Einstein selfie. 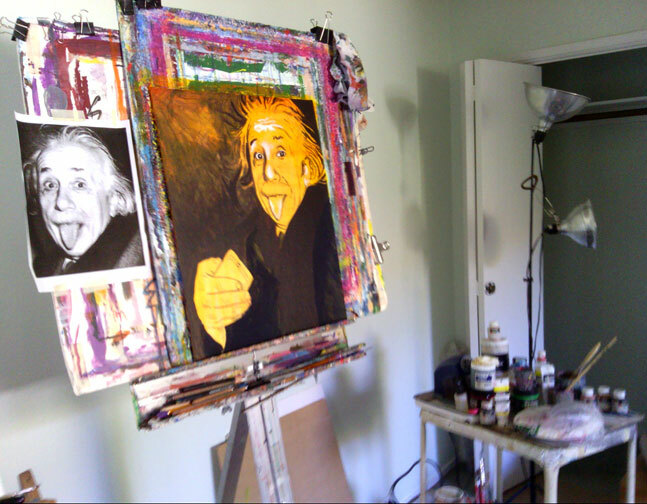 I am currently working in my studio on my painting inspired by an Albert Einstein photograph… It is now part of my selfie series. Hope you enjoy it.